Welcome to my site. I love movies and talking about them. Take a look and let me know if you find something you love. At Eternity's Gate was not on my radar at all, and I pride myself on my radar. I have a good radar. Stop looking at my radar. 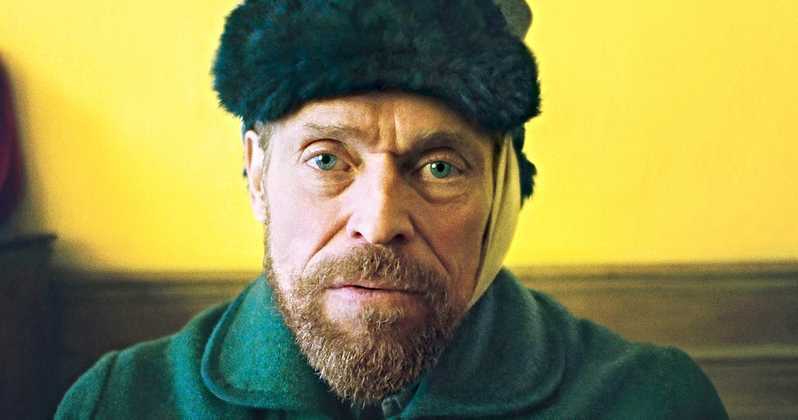 However, this film completely missed me and was turned on to it thanks to all the Award nominations its star, Willem Dafoe, has been gathering due to his portrayal of Vincent van Gogh. I was lucky enough to catch a screening of this "hidden" gem. Let's talk about it. The story follows Vincent van Gogh (Dafoe), during his final years. We see him live in Arles and Auvers-sur-Oise, France, thanks to the banking of his brother Theo (Friend). Here he will paint over 85 paintings, all the while going in and out of mental institutions, due to his erratic behavior towards the villagers around him. Carrière and Schnabel wrote a somber tribute to an artist that many have created assumptions around his state of mind and actions. You can see a version of this film being this "over the top" depiction of a wild and "crazy" man, that his only outlet is the canvas. However, this study, or attempted study, of this enigmatic artist, manages to both showcase the beauty of what his paintings were and the sadness in how misunderstood the painter was during his time. While he longed for the calming beauty of nature, it came out in an erratic style of painting that bled through both to his mental instability and the art that would go on unappreciated for years. 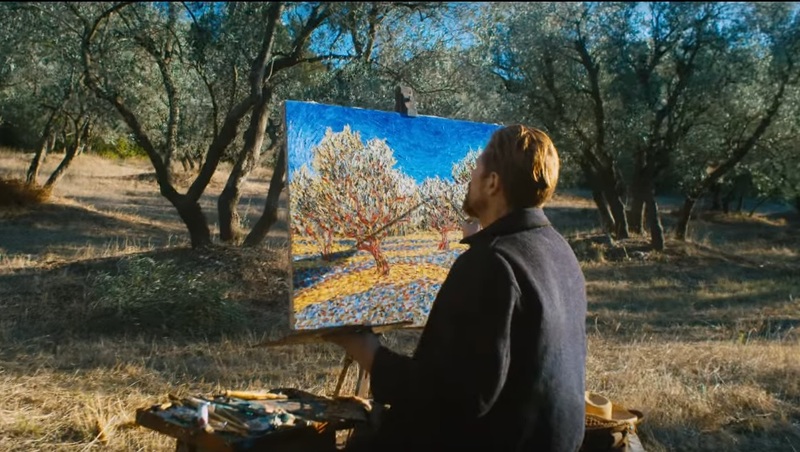 Quick note: While I adore the gentle care, the script gave van Gogh, and the subtle nature of how his mental state influence the beauty of his art, the structure and the events didn't grab my full attention. My mind wandered a bit during my screening, as it was a bit too unfocused for my taste. This could be a "me" thing. Director Schnabel did a beautiful thing, and that was his use of the POV shot to place us in the shoes of van Gogh. Many historians argue that van Gogh suffered from an ailment called xanthopsia (an overriding yellow bias in vision), and when Schnabel placed us in his POV you can see the oversaturation of yellow within these scenes. Along with a distortion of the image, visually representing the mental instability of our protagonist. This subtle yet ever-present detail elevates the movie above your run of the mill biopic. I also appreciate the use of a set of years in the life, instead of running the gambit of his entire life, as that type of biopic can be dull and predictable. Quick note: the countless shots of nature and the beauty deeply ingrained in the soil van Gogh walked on, painted on, and immortalized on his canvas was eye candy to say the least. However, this movie’s gravitational pull is centered around Willem Dafoe’s performance as the ever mentioned van Gogh. Just like the script, Dafoe gave the painter more love and care than I expected, as his mental instability is rarely overplayed, and is always present even in the moments of happiness. The love he shows to God, nature and his brother Theo, all feel genuine and human. I loved the conversation he has with the priest, played effortlessly by Mads Mikkelsen, as they ponder God and how he plays into his art. That conversation also ties in the name of the movie, without doing that cheesy thing a lot of scripts do, you know, saying the name of the film as if it’s a big reveal of meaning and movie theme. At Eternity's Gate is a quiet look at one of the most volatile artist sitting at the Musée d'Orsay. The warmth the script brings to its subject matter was refreshing and something I was not expecting, giving the nature that overshadows his legacy. The cinematography is beautiful, the acting is fantastic from a surging Dafoe, and the director is one I will pay attention too. However, I did not love the structure, and all the elements chosen for this film, his friendship with Gauguin feels forced and pulls away from van Gogh. Feels like a great film to watch on Netflix, worth a watch. Willem Dafoe is why I love movies. At Eternity's Gate is currently playing in theaters. Watch it when it hits Netflix. If you like this review let me know in the comment section down below. Subscribe to my newsletter so you are always up to date with all my reviews. 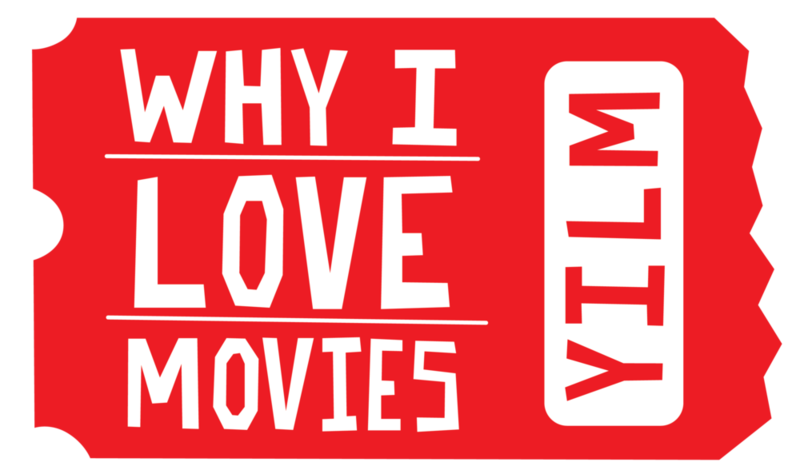 Also, follow me over at Twitter (@yILovemovies) or over on Facebook if you want to have a conversation about movies. Thank you, be on the lookout for an email confirmation!